Too often, they have not been held accountable. This lack of accountability has eroded community trust and fostered suspicion and resentment. In order to restore police legitimacy, there should be structures in place to promote responsible, accountable policing and measures to ensure that police are held accountable for their actions when they deviate from that standard. There are generally four mechanisms for holding law enforcement accountable: community-based, political, civil, and criminal. Creating an accountable police force starts by implementing policies that make them directly responsible to the people they serve. There are a variety of practices that can increase the collaboration between police and the community. Civilian oversight, both on a policy level and for specific review of complaints and disciplinary measures, creates direct accountability that also provides the opportunity for police to learn from and build a relationship with those they serve. In Berkeley, California, the Police Review Commission holds bi-monthly meetings that are open to the public where representatives of community organizations “voice criticisms, make proposals and introduce resolutions to review or reform specific police policies”. Civilian review boards also keep police accountable when used in a disciplinary fashion. However, communities must work to overcome the practical obstacles to the creation and effective implementation of civilian review boards, namely resistance from police departments. Community representatives and municipalities should work together to create civilian review boards that are independent, transparent, and representative with adequate resources and outreach. Ideally, they should have the power to conduct investigations and hearings, compel police cooperation, determine appropriate disciplinary action, and conduct statistical analysis of infractions. An important aspect of building community trust and keeping police accountable is transparency. Creating clear procedures by which police officers provide information to and are transparent about their practices with the community creates the basis for mutual respect. This can include policies that require police officers to provide their name, badge number, and an informative card on how to report complaints to people with which they interact. This can also include wearing body cameras with adequate privacy protections for the public and strengthening the right of civilians to record police interactions. Political measures can influence the ways police departments are structured and behave. “Political checks” both on a national and local level, including contingent federal funding, internal review, and increased reporting, can make police departments and officers more accountable. These political accountability measures can work in tandem with civil and criminal lawsuits to pressure police departments into adopting best practices. One key political tactic is enhancing federal oversight of police departments by using Title VI of the Civil Rights Act of 1974. Currently, the Department of Justice Office of Civil Rights becomes involved in a police department when a complaint is made. Where they find that an entire police department has engaged in a “pattern or practice” of violating the civil rights of the community, the DOJ commences or threatens litigation against the offending jurisdictions, which often results in consent decrees that reform police practices in the jurisdiction. By enforcing Title VI, the Department of Justice can require reforms in the hundreds of police departments that receive federal funds: $3.8 billion is given to state and local governments each year in federal criminal justice grants. Since Title VI prohibits recipients of federal funds, including police departments, from discriminating based on race, color, or national origin, the DOJ could require police departments to “show specific, demonstrable evidence of proactive efforts to address and overcome racially biased policing when those departments apply for federal funds, undergo evaluations, submit reports, and are audited for compliance with federal civil rights law. Better still, it can reward and incentivize the departments that combine public safety and civil rights protections most effectively.” The demonstrable evidence of such policy changes can include the type of policy changes police departments provide in consent decrees with the federal government, including “training in civil rights and de-escalation, stronger scrutiny of racial inequities and excessive force, and greater community accountability and oversight.” Thus, the DOJ can proactively encourage these reforms, providing adequate guidance and resources, rather than reacting to abuses in a piecemeal fashion. Police officers can also be made subject to “political” checks, such as peer reviews during incidents of misconduct and internal disciplinary panels. While these checks may exist, they are often missing the necessary transparency that can reassure the public that internal procedures are thorough and fair. At the same time, by regularly providing data to the public on the disciplinary dispositions of all misconduct complaints it will be easier to identify and address systemic problems in those processes. 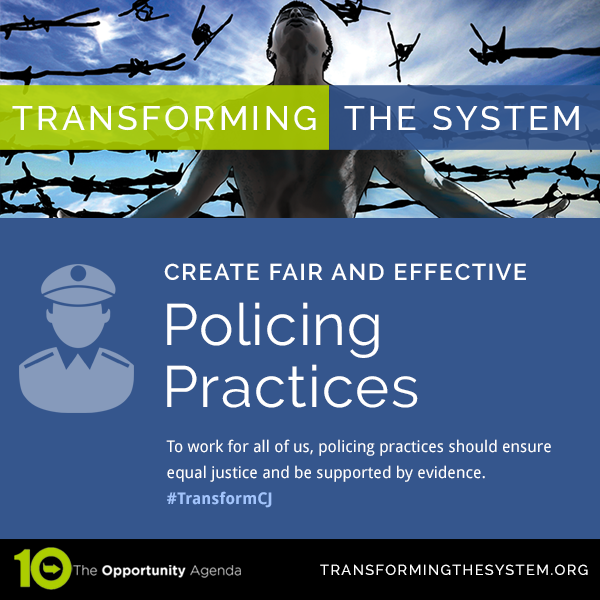 Internal police procedures can also reflect a commitment to accountable, fair, and unbiased policing. 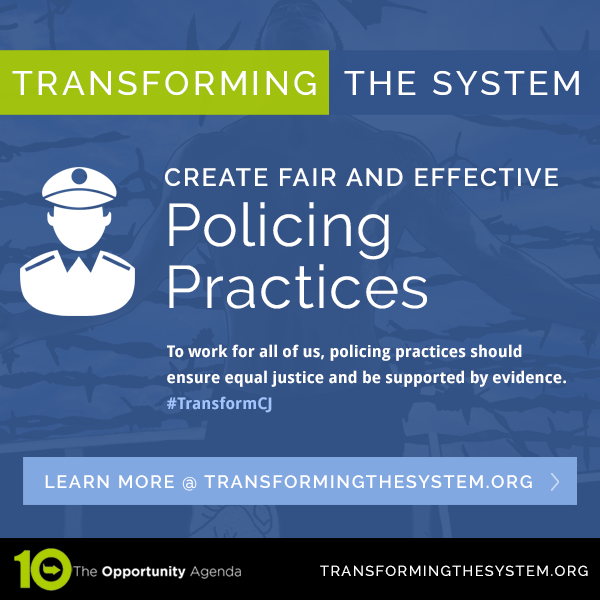 Police departments can require implicit bias training and develop a policy to consider an officer’s racial bias and record when hiring, certifying, deploying, or evaluating police officers. Yet, the Court has created significant obstacles to plaintiffs looking to hold public officials accountable including immunizing prosecutors and police officers to different degrees and limiting the liability of municipalities and state bodies. To overcome these obstacles to civil accountability, advocates need to utilize a long-term public campaign to prepare the way for legislation that minimize the hurdles plaintiffs face in 1983 cases. Advocates have called for an independent prosecutor to address this injustice. Independent or special prosecutors can take many forms, such as providing state attorney generals “additional prosecutorial authority over fatalities involving police,” creating “permanent ‘special prosecutors’ that are housed within the state office of the attorney general to provide a level of insulation from local law enforcement,” or “automatic referral outside the jurisdiction in fatal cases involving police.” Key to any independent prosecutor is that any investigation is conducted by a neutral prosecutor who does not typically work with the police department subject of the investigation. Individual officers can also be found criminally liable under 18 U.S.C. 242. Section 242 is the criminal complement to 1983, which allows for criminal prosecution against an official that deprives people of their rights under the color of state law. However, there are similar obstacles to implementation that limit Section 242’s ability to hold officers accountable. In particular, it requires a police officer to act “willfully” when engaging in misconduct, a standard so high as to all but ensure that prosecutions are rarely pursued. By changing the criteria for criminal prosecution against police departments to “reckless,” police officers can be prosecuted appropriately for their actions. The chart below outlines the four primary mechanisms for holding police accountable. In addition to the recommendations above, a holistic approach to police officer accountability may reduce incidents of misconduct. The Bureau of Justice Statistics should collect data on police officers who have been arrested. Congress should pass legislation requiring that all federal funding to law enforcement agencies be conditioned on police department compliance with the recommendations in this Report. In addition, law enforcement agencies, including local and state police departments, and sheriff’s offices, should incorporate these guidelines into their internal guidelines, manuals, policies, protocols, performance evaluations, and practices. The defense bar and legal aid societies should maintain a database of police officers who have repeatedly been accused of misconduct by their clients. This database should include information on the police officer’s name, precinct, and a brief description of the incident. Collaborate with local defense bar and legal aid societies to demand that problematic police officers be held accountable.